The Anchorage School District says Eagle River Elementary school will be closed for the remainder of the school year. The building sustained severe structural damage from Friday’s earthquake. 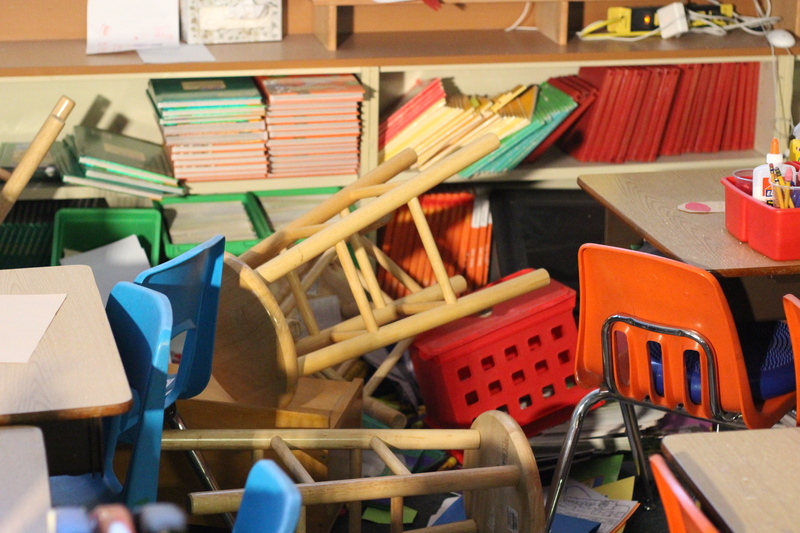 On Friday at 8:29 a.m., when Anchorage was hit with a magnitude 7.0 earthquake, Eagle River Elementary School principal Lisa Prince says there weren’t a lot of students inside. “We had our choir students here practicing and we had a before-school program,” Prince said. Immediately following the earthquake, the students evacuated the building. None were injured. Since Friday, every school in the district has been under repair and inspection and is being tagged red, yellow or green: red being the most unsafe and green being safe for staff reentry. As of today, Eagle River Elementary School was the only school that was tagged red. While a lot of debris has been cleaned up, there’s structural damage to one of the school’s exterior walls. 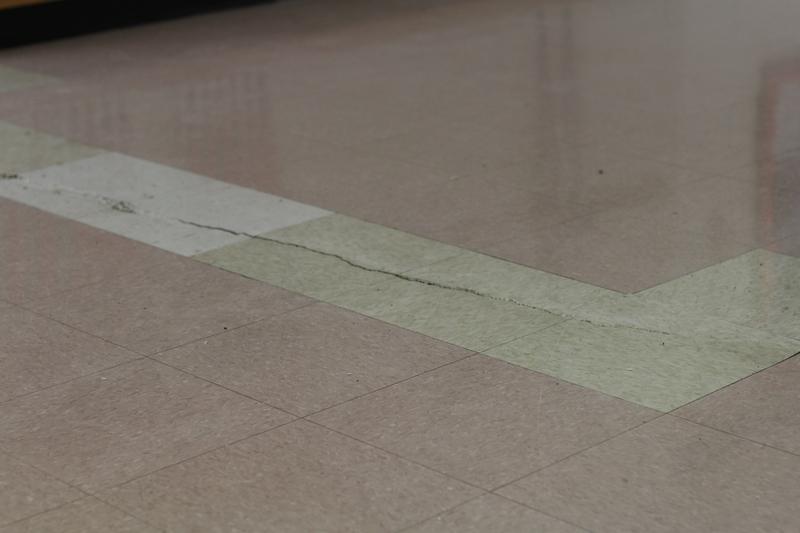 School officials gave a guided tour through the school to show the damage to U.S. Senator Dan Sullivan and local officials. 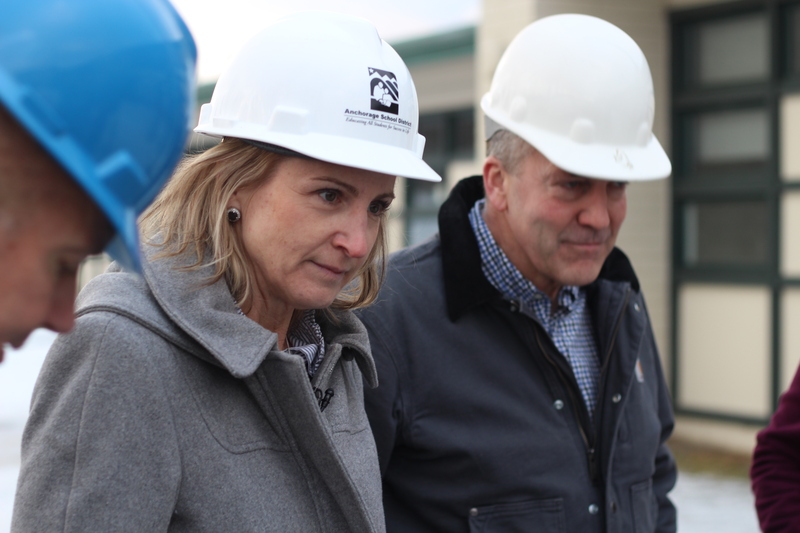 Tom Fenoseff is the senior director for capitol planning and construction for the Anchorage School District. That damage is the primary reason for the closure. ASD Superintendent Deena Bishop said there is a plan for relocating students to two different Eagle River locations. “They will be reassigned to two other elementary schools in the Eagle River area, Chugiak area as well. Birchwood Elementary as well as Homestead [Elementary,]” Bishop said. Teachers will relocate with their students to the new schools. Bishop says non-teaching staff will be reallocated as Birchwood and Homestead increase in student population. A new assistant principal may be hired to assist Prince. “We’re not losing any people, in fact we’re probably gonna need more people to help because the school’s being split into two,” Bishop said. Bishop says that about a third of the schools in the district are tagged green and the plan is to get those cleaned out this week, making them student-ready. Bishop says Gruening Middle School is currently the only school that has not been fully evaluated. She says the district will be working through the weekend to get all of the yellow-tagged schools into the green category so classes can resume December 10.